1. Heat coals or gas grill for direct heat. 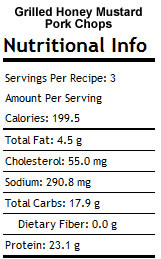 Mix all ingredients except pork in small bowl. 2. Cover and grill pork 4 to 5 inches from medium heat 10 to 12 minutes, brushing occasionally with honey mixture and turning once, until pork is slightly pink in center. Discard any remaining honey mixture. yum. 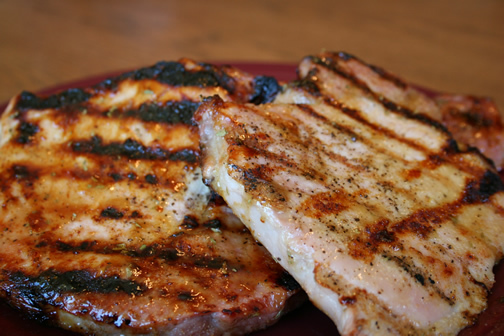 I have pork chops on the menu this week, and I'll have to try this!